/ The Last Sign of the End: The Gospel of Jesus Returns! The Last Sign of the End: The Gospel of Jesus Returns! Is Christianity proclaiming the same gospel Jesus did, the "good news of the kingdom," fulfilling the only precursor sign of the end that Jesus gave (Mt 24:14)? Christians assume so, but when pressed can’t even explain what the kingdom of God is. (It’s not "within you" or Heaven). Discover what the kingdom of God is, what its good news is mainly about (it's not Jesus' death! ), and how to recognize it when this earliest sign of the end happens so you know when the good times are ending. Matthew 24:14 (KJV) - And this gospel of the kingdom shall be preached in all the world for a witness unto all nations; and then shall the end come. This is the most profound end time sign ever, as you'll see. 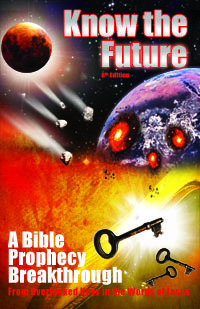 Unlike popular theories imagined by Christian prophecy experts or even the end time signs in the Bible, it is a wholly positive event prediction. It's literally good news; the good news of the kingdom that will be proclaimed worldwide. To read the rest of this 7,500 word study and finally understand the Gospel that your Lord taught , please join my support team monthly or even for just one month (no monthly financial commitment required). I appreciate your material support in exchange for helping me to continue to bring forth spiritual support (as Paul taught in 1Co 9:11, 14) for the saints to finally learn God's will and to do it (Lk 8:21=Mt 12:49-50=Mk 3:34-35). If you cannot afford to join the Support Team at this time, I understand. Please enjoy the hundreds of other free studies on this site instead! Oh Tim!!! What is the gospel/good news of the Kingdom? I just finished reading it to my girlfriend. I didn’t just read it to her we studied it, followed the scripture links, discussed it and recognized several comparisons in our lives and I can truly tell you it has blessed us this day. I feel extremely blessed beyond words and am grateful for this message…that has been right there all along! It is rewarding to know what the good news is as apposed to what I thought it was, and broken pieces of it at that. This messaged reached Tammy and I in many ways. It reminded me of when I first met her and recognized that it was like she was actually living in the Kingdom doing His will by her ongoing acts of kindness and the way in which she behaves and treats her fellow humans. She reached me by her actions of leading by example of what Jesus was trying to teach us all along. Your explanation of the obvious message was masterful and revealing although it was not hidden from my eyes. I am excited now to think of the many applications I can dream of helping to do my part in spreading and teaching the gospel of the Kingdom of God to others. To bring awareness and clarification to an otherwise major blunder on the Christian front. We need to remedy this! I will continue now to saturate myself with this teaching and all surrounding supporting scriptures connected to it as you have until it is embedded on my heart. I also look forward to reading your next article for members (Depart from me/I never knew you). That has always had a major impact on my spirit to think of it happening to me! What if? It is terrifying to think. What is it to know Jesus and He know you…what it means. Anyhow I am excited to hear about your next book! I want to know what your vision for this book is but apparently it is not posted? I want to be the first also to read chapters as you release them. In summary, Tim today Yahway, Elohim our Father has communicated to me thru His word! Thanks to your gift He has blessed you with. My spirits ears are hearing ringing sounds of truth today and I am inspired. Thank you brother and keep spreading the gospel. The LORD bless you and keep you; The LORD make His face shine on you and be gracious to you; The LORD lift up His face on you and give (you and your family) peace. I agree that for many the gospel has been watered down to a gospel of salvation only – I personally do not like the preaching of hell to begin with a lot, saying that Jesus has come to save us from hell…as if we are created for that. The Bible begins with creation how God has created us according to His image; it doesn’t begin with the fall. In my experience I would say there are some who call themselves christians but you can tell right away they label themselves as that because of culture or family, etc but yet really don’t know the Lord – to be frank they haven’t started a new life in the Lord. Then there are a lot of Christians that I know, who try very hard to “bear fruit” and “keep the commandant”, I was like that, but it does not work because the source is wrong – it is motivated and driven by self, not by the Spirit. We are distracted by Christian work but not attracted to Christ Himself in the very first place – so the fruit/work doesn’t last long as the source is not from Christ our real life. And like you said, it can cause to a lot of pride as well. My take is that the gospel is the good news of the “unsearchable riches of Christ” which also includes and consummates to the Kingdom :). Truly the Lord is infinitely rich! Keep it up Tim and blessings! I think and believe that it should be taught about hell because that is part of the gospel and people have to know the repercussions of sin and how are they going to know if it isnt preached and also anything motivated by self is just religion and as you say not by the spirit. Even though Jesus said that he did not create hell for man but for satan and the fallen angels but what does the scripture say about the wages of sin. And He also said that His people perish for lack of knowledge so if you dont preach the full gospel whats the point its all part of you shall know the truth and the truth will set you free. But you are right on the gospel being watered down and the ones that preach a prosperity gospel but again there are many that go to church just to have their ears tickled and give heed to seducing spirits and doctrines of devils just like the word says. And on christian works once again Gods word proves itself in Ephesians 2 ver 8,9 we are saved by grace through faith not that of yourselves it is a gift of God NOT OF WORKS lest any man should boast. We are told to strive for the high prize and spread the gospel as the holy spirit leads us to opportunities. We should definitely be drawing closer to Christ and He will draw closer to us as it says in Isaiah that he that dwells in the secret place of the most high abides under the shadow of the almighty.You are correct though that are main focus is our relationship with Christ and putting Him first in all things because we are very close to the very end and soon to face tribulation like never before and will have to totally rely on the Lord. Donny, isn’t it enough that the “wages of sin is death” (Rom 6:23) by burning in the Lake of Fire (Rev 20:15) that we don’t have to add on the “eternal burning hell torment” not found in Scripture but comes from paganism? No its not enough people should know that hell is a real place and this is where you end up if you reject Christ and it is a place of torment and it is eternal so what do you want to do water it down so it doesnt sound so bad. thats the problem with the majority of the churches today that they dont preach this anymore and most people just go to church for appearance and to get their ears tickled instead of receiving sound doctrine just like the scriptures say. Does not luke 13 talk about weeping and wailing and gnashing of teeth and also Matthew 13 ver 42 and there are more so you can believe what you want but this is the word of God and they should know. Donny, your position is predicated on “Christian hell” not being a lie. Since it could be a lie and eternal death be the true punishment (Rom 6:23=Rev 20:14-15) then I’d be careful saying what God has decided (no hell) is “not enough.” You’d be a harsher judge than God and judging God as wrong. I’m not interesting in arguing with you about hell or other doctrines. We both mean well and seek truth and let’s leave it at that =). Tim i was not saying that hell was not enough i am just going by what the bible teaches about the second death and the repercussions of sin and i didnt say that hell was not enoun i was going on your words Tim qouted Romans 6 ver 23. and was just saying that they should have a better understanding that hell is a real place and you as well as i know the scriptures teach this but i am in agreement with you to not to argue with you and i am certainly not saying by no means that God is wrong only a fool would make that assumption but i am going by His word. Absolutely wonderful, Tim! I’m so blessed to have the honor of being your friend. Your wisdom and knowledge about the good news along with your easy to understand writing style keeps me coming back daily. I’m so excited about your new book. Your blessings are my blessings! Yes, Teri it always felt like something was missing, right? This is why Jesus trained his disciples for 62 weeks before he left them. They learned the gospel and how to live the gospel. We need that training too, or it takes a lifetime. My goal is to develop that training so that the hard thing becomes doable because you have modern day examples and strategies to employ. Plus support with true like-minded believers. Thank you for being on the support team. Please post any questions or feedback you have to let me help you and improve the materials. Took me two days to fully read this because was going slowly and digesting as I read. To me this is your best article yet . I wish I could share it but I’ll just have to wait and buy everyone a copy of your book. 😀 Since you aren’t for regular church, I’m curious about your thoughts on what part tithing plays in the Kingdom. Do you have any articles about that? Thanks, Sarah. I agree it’s my best prophecy article, although I like the “Depart From Me” article and what it explains a whole lot, too. It’s a long article as you noticed, but that’s what it takes to explain this topic. I’ve wanted to understand the real Gospel (of the kingdom) for years—ever since I noticed it was not what Christianity taught. But I could find no explanation, even online. So needless to say I’m proud of this article and glad others are finding it as thrilling as I am. You’re not the first person to say they want to share this. I am thinking it may make the most sense to use this article as a free example article to show people the value of the support team content. What do you think? Oh, I know it’s easy for people to misunderstand me, but I’m actually not for or against regular church. It’s up to each person if they can find a church that they find worthwhile. I think the odds are stacked against that because of the issues with Christianity that this article exposes, but even I had a great experience when I belonged to an awesome church in the 1990s in Hartford. Then it changed radically and I could see at last that church was not teaching from the Bible and I quit depending on church for my spirituality but took it into my own hands. Tithing was a national responsibility for ancient Israel to support the Levites, a priestly professional class that benefited the nation greatly (think: doctors, lawyers, engineers). It is not commanded on anyone today. Nevertheless, as it was for them, for us today to obtain personal salvation requires love which is expressed in many ways including by giving freely and cheerfully to others in no set amount. Paul also states that it is appropriate to give materially to those who teach you spiritually/the Gospel (1Co 9:11, 14). Tim, This is very powerful teaching. You continue to open my eyes to the misdirection I followed for too many years by allowing myself to believe the teachings of various Christian pastors/leaders. Is it at all possible that the “Good News” will be broadcast by the ‘Elijah’ character of Revelation? I’m having difficulty imagining other possible scenarios where this message would be that obvious to everyone on the planet (outside of a Prophet). Zachary, that’s a definitely possibility. I refrained in this article from stating who will get the good news out so that people focus more on how to recognize it, regardless of who does it. It could be Elijah drives it, but it could be more organic like I described, God using a non-prophet holy man to release it and let people decide for themselves off its own merit. Either way, I’m sure a team of people called by God ultimately will be needed for it to have the quality and reach to impact the world that it needs to have. Thanks Tim. The prophet angle (at this point) seems to make the most sense to me at this point but it could certainly also come in the way that you mentioned. In either case I’m guessing this “message” will come PRIOR TO the beginning of sorrows (start of the Tribulation/70th week of Daniel). Zachary, ‘zactly =). If the Mt 24:14 good news does not come before the sorrows (WWIII/Wormwood) then people won’t know to flee. I say that because I’m convinced that the good news about repentance for the kingdom also comes along with the warning of what’s coming, and what is required of you to escape. These are huge messages for the end time and I can’t see them coming from different sources or at different times even. Tim, I too grew up knowing something was not right with the organized “Church”. I have attended church almost all my life and still believe it is a good institution for serving others and helping the community. I will admit it was difficult at times to find one that was more concerned with helping in the community than with membership and numbers. A few years back I put a study together that changed my outlook on the Church. It brought into focus what Jesus came to teach us. An extremely small part of it is what is taught in Church. Jesus had much more that he said and I found it when I wrote “The Rest of the Bible” (http://www.newbookinc.com/UNCANNONED%20SCRIPTURES.htm) Your comments will be appreciated. Thanks for making it clear how the Church has missed the bull’s eye on Jesus’ teachings. I am afraid this was not an error or accident. It is easier to control people if they are dependent on you for entrance to the kingdom than if they are responsible for their actions and education. Ask the first century rabbi. Jesus did. This article is so on point and confirming!! It’s confirming because I stopped going to the traditional church and have been treating my household like the church then I started thinking this is what the first century church must’ve been like. I find this and it is like music to the soul. No acrobatic scripture play. No overemotional play on people’s ignorance–just pure and clear teaching. Good stuff. OnTay, thanks for joining the team and sharing how this first article impacted you. I am encouraged by how God is gathering more people here prepared (like you testify) to receive the radical truth in Yeshua’s words and repent of religion. Thus far your articles have been great—unfortunately, they seem to create many more questions which I have yet to resolve. Wow Tim, I can’t tell you how much this teaching means to me. This really makes everything come together. 1) The world will know we are his disciples if we love one another. 2) By loving one another, we glorify and lift up Jesus. 3) If He be lifted up, He will draw all men to Himself. My struggle has always been: How do I love God with all my heart and all my mind? Well, I am ashamed now! That’s because I got saved in 1983 when I saw a glimpse of the kingdom: “And the multitude of them that believed were of one heart and of one soul – neither said any of them that the things which he possessed was his own; but that they had all things common. Neither was there any among them that lacked: for as many as were possessors of lands or houses sold them, and distribution was made to every man according to his need.” Acts 4:32, 34-35 (paraphrased). That was enough to convince this sinner that what he was reading was Truth. The answer to my question was in these very verses that brought me to my knees 34 yrs ago! We should love one another, this is what pleases God. I believe I can have peace now, because I know where I need to be focused. Thanks so much for your diligence. Bryan, thanks for being on the support team and sharing your excitement at the simplicity of Yeshua’s commands. Christianity has failed to live up to the first century believers because unlike them Christians have not been taught “the doctrine of the apostles” (Acts 2:42) but rather traditions of men that displace them (Mark 7:8). I was compelled to join your support team this evening because for years I have credited you for keeping me close to YHVH. I have read everything you have put out and every time you guide me to review scripture again or to new insights( the ted talk you recommend to another supporter was generous and warmly eye opening) I know that God has connected us and I give thanks for that. I wish you all the best on your new book and can’t wait to read it- as always! Debra, thank you for your comment and generous support. I’m glad to have impacted your walk with Yehovah which is really the best fruit in gathering Bible understanding. Blessings! What would you say to a Jehovah’s Witness who claims to be spreading the news of the kingdom and who believed when they are done they will have fulfilled this scripture? This is their great commission correct? Don’t they have Kingdom Halls? The ones I’ve heard sure tell about it as if they have been working diligently throughout their existence. Just a thought that occurred to me today. Debra, Jevovah’s Witnesses are not much different than Christians who think they are fulfilling Mt 24:14 by global mission work, as my article covered. Even if they name their churches Kingdom Hall, they still don’t know what the Kingdom is nor the Good News of the Kingdom, right? They are known for bothering people, not for their love (John 13:35). Jehovah’s Witnesses do preach that Gods coming Kingdom will be established on Earth and people will have the opportunity to live forever on Earth. But they are driven to push people into this preaching Commission by having a minimum required number of hours that they go out knocking on people’s doors. And this has promoted division and a lack of love for fellow man because it sometimes created a competitive Spirit among people within the church. And certainly a feeling of superiority because they did more than their fellow brother. Thanks, Tim. This is a great article. I shared this with one of my friends who happens to be a preterist and thinks Christ returned in 70 A.D. He made the following comment: “According to Paul, the gospel had already been preached to every creature under heaven while he was still alive in the first century. Colossians 1:23. Compare Acts 1:8 and 1Tim. 3:16.” How do I respond to his comment. Carolyn, for completeness, I’ve updated the article to cover the Preterist objection. Thanks for the comment! Tim, this is such an enlightening article. Thank you for putting it together. I have been to the worship services of just about every denomination of church and nothing has given me more insight than reading your articles. When I read them, it feels “true”. Church services are ok, but they always left me feeling somewhat empty so, as a result, I always felt like I was unable to “join the party” and I was always an outsider looking in. Through reading your insights, I know now that I was looking for guidance. The message of love is simple, but it is indeed the hardest. I don’t attend church these days. The last church I joined was the Catholic church and that was only because I was at a low point in my life and the music and ritual (not so much these days) made me feel that there was indeed something/someone “greater” in existence. I have been searching for a greater relationship with God and I no longer feel like I need a church to be a middle man, I just need teaching. Thank you again. Deb, thank you for joining support team and commenting! I love seeing the excitement of other Bereans finally understanding things they should have been taught in church (Jesus words) but were not because they favor tradition to truth. Stay on the support team and we have more content planned to help you not get that confident relationship with God that Jesus’ words bring when you have the “wisdom of the just” (Luke 1:17) needed to do them. The criminal to whom Yeshua said you will be in paradise with me today is another one I cannot explain… any thoughts you have on these? Jacques, we are going to heaven at the start of the wrath (Rev 15:2-3=Rev 19:9) for 10 days only for the Marriage Supper of the Lamb, then we return to rule on earth with Yeshua right after (Rev 19:11,14). Jacques: You are correct abut the Rich man being a parable. It is stated in Lk. 15:1. 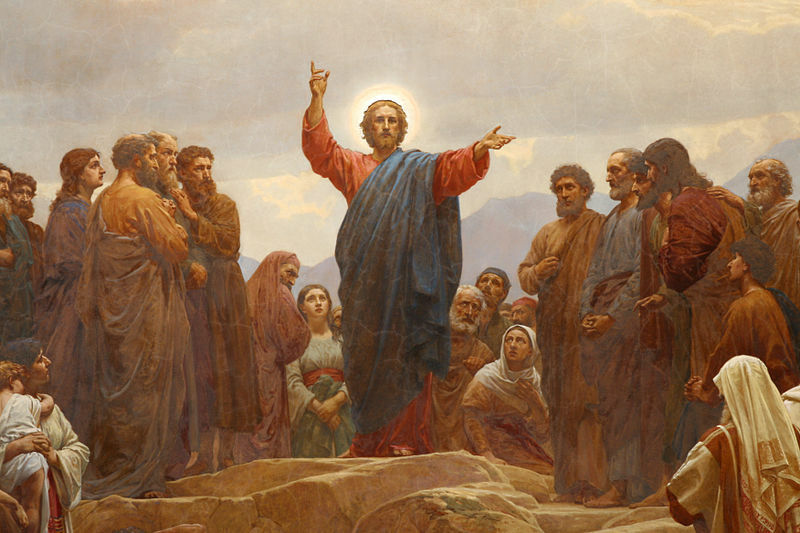 Christ speaks of five parables and does not end His discussion until Lk. 16. I have known, way down keep in my spirit, that showing love by your deeds and actions has more impact than declaring your love. In fact I had just such an encounter with my grant-son. He said, I love you Grandma, but I’m not going to try and prove it. My response to him was, you prove your love by your actions and the way you treat me. Saying you love me means nothing. There is a lot on this site, including the emails from others, that have also put my mind to rest. After reading all of the links I know that I am a different person. My suspicions are confirmed and it lifts a huge load off of my conscience. God Bless you. I shall await every succeeding article. I am sure I will be supporting your efforts financially. I can do that by not supporting the wrong places. God Bless, I am an 81 year old, married woman, mother of 3 (all of whom are on Social Security), who is striving to become like Jesus in every way). To Jehovah be the glory! He is certainly using you my brother. I have spent all day today reading supporter articles. I had to put on sunglasses due to all the light bulbs going off (joke). Christianity (attended many denominations and nondenominations) could never answer my questions. The kingdom of God finally makes sense! I am studying my Bible with “a clean slate” now and the kingdom of God makes perfect sense. Thank you for your time, research and articles. They really mean a lot to me and saved me hours of my own research and years in my spiritual growth. One thing leads to another, and another…and it all clicks into place. Has anyone read this yet? Ted Dekker talks about something similar to what Tim is teaching in his fiction series AD. He has a study guide out now. Cinnamon, Every time someone suggests they found something like I’m saying in my study I check it out and it’s nothing like it where it counts. =) While I am indeed making some big claims about a way (that Yeshua taught) being forgotten (for 1900 years), that’s where the similarity ends :(. It does look interesting that he focuses on teaching God’s love and how to love yourself. People need that and Christianity does not give it to them. What a shame that one has to be a memebr of your support team to read the full aticle. It sounds very interesting. Unfortunately, I am not in a position to be part of the support team or give donations or anything, nor yet buy books. However, from some of the comments posted, I can glean a little of what perhaps the article is about. I’d always felt it was very important not to simply ‘stay in church’. Whenever I was there, I kep thinking, what about all those people ‘out there’. I wanted to be instrumental in bringing them to Christ, but more than merely that. I didn’t want this in order to make them a member of a church institution but rather that they would come to a full knowledge of God and His Kingdom. I can’t wait until the ‘the whole earth is filled with the knowledge of the glory of the LORD, as the waters cover the sea’. You are blessed and one of the few if you can see how Christianity does not fulfill the vision of Jesus nor train others in his teaching by having them come and sit for an hour a week passively… Just keep reading his words over and over in your free Bible and you can find the things I’m teaching by God’s leading, too, as you already seem to not be far from the Kingdom. Nothing (from God) should hinder you to preach the gospel of Christ, because the Bible says in Mark 16:15 – And he said unto them, Go ye into all the world, and preach the gospel to every creature. I pray that the Body of Christ (the Church) is truly acting as one Body of Christ. 1 Corinthians 12:28 – And God hath set some in the church, first apostles, secondarily prophets, thirdly teachers, after that miracles, then gifts of healings, helps, governments, diversities of tongues. Colossians 1:18 – And he [Christ] is the head of the body, the church: who is the beginning, the firstborn from the dead; that in all things he might have the preeminence. The gospel of the Kingdom of God shall be preached till the end.What about gospel of grace which all the churches preach? Paul wrote the gospel of grace,isn’t? Can we say he was false or cheap?Just asking. Gert, yes indeed Paul taught how to receive grace and not a cheap grace with a little prayer and without continual repentance/change like Christianity does, producing hypocrites who go in Jesus’ name but don’t act like him (Mt 7:21-23). They are not fit for the kingdom and will be rejected. Tim, as important as prophecy is, THIS article is more important. You don’t even care about prophecy unless you repent and are awakened spiritually. I have picked up on this message years ago and can see my walk in your story. But this is the most concise, well written article in one location I have seen. Have you thought about posting this for FREE on your websites? This could very well be one of the methods to have it go global. 1. Yahusha is Yahuah in our 3D/matter/light dimension. 2. Yahusha is coming back for his own. The rest are just details. Repentance is key. Personally, I try to imagine what the kingdom will be like and what we will be doing. And then I start doing here and now to the best of my ability. Haven’t read it yet but have enjoyed his previous work. I’m really excited that the kingdom of God is beginning to get more and more airtime from diferent sources. Scott, well, everything is getting more airtime these days. Still, despite so many teachers claiming to be preaching the Gospel of The Kingdom (including Michael Rood every Friday night in his SNL broadcast), I’ve yet to see one who teaches what Jesus did on this. Christian indoctrination prevents us from even seeing the GOTK which is why it took me twenty years of unlearning what Christianity taught me after leaving church in 1997 to finally see it in 2017. I like Frank Viola’s “Pagan Christianity,” but from what I have read of the first chapters of Insurgence, it’s another “Gospel of the Kingdom” misfire. An issue with Frank Viola is that he leans toward charismatic understanding on how to apply the gospel. He also believes that the proper Christian life can only be lived out in a church gathering. If you read what he thinks those church gatherings should be like it seems he wants to force authentic fellowship on people which he considers organic. But an organic fellowship should not be forced lol. The other problem I have with him and others who write on this subject is that they take too long to explain the gospel. I struggle with finding the correct way to present the gospel when I am asked. Should I start from the beginning to show them who God really is and how his purpose has unfolded through the ages and never changed, leading into how it applies today, and then what it means for the future? I see two sides of this issue: 1. Christians think belief is all and grace covers everything and they don’t have to worry about how they live. and 2. Non-Christians who are good to others already don’t see the need to believe in God. They don’t see the connection. Any presentation of the gospel needs to address both those issues I feel. Just my thoughts. I don’t disagree with you. However, when I read Acts 2:14-42 I hear a different gospel of the kingdom than what you say the disciples preached. There is no grace mentioned. There is a guilt trip given for the Jews killing Jesus and Peter clearly says repent and be baptized. Verse 40 also is a plea to save themselves from punishment. After reading and rereading Acts and the letters, I can see how the 12 still thought obeying the law and repenting was the way to get to the kingdom (no grace). Peter even thought baptism was the way someone received the Holy Spirit but God showed him his error in Acts 10:44-48. It is only after Paul receives his teaching from Christ that grace enters the scene and Peter confirms this later on. I believe the disciple believed the end was coming soon and that was their gospel of the kingdom (which I believe was what Christ told them to preach initially). I believe the prophet coming will preach more like Peter did in Acts 2 before the end is coming – like you have said. The Jews were given a chance first and then Paul was commissioned to preach the gospel of the kingdom with the added grace to the Gentiles. All of his letters reflect practical application and discipleship. Once the fullness of the Gentiles has come then we will hear the gospel preached more like Peter in Acts 2. Paul’s gospel included the hope of the future kingdom but focused more on how to apply Jesus’ teachings. So, I agree with how you see the gospel in the NT but if we didn’t have Paul’s conversion story and his letters would we have known about grace from what would be left? Elizabeth, Acts 2 does not claim to teach the “gospel of the kingdom” =). Like you noted, it actually shares some “bad news” about “what you guys ignorantly did killing your Messiah” that tore their hearts quite effectively. Like Acts 2, Paul never uses the phrase “Gospel of the Kingdom.” I don’t see any evidence in his writing that he even knew the GOTK. This is entirely possible since he was never a disciple of Jesus while Jesus was teaching the GOTK. Plus God’s purpose was that the GOTK die out and be hidden so Mt 24:14 could be true and make its impact later. Paul writing about it would not have worked to God’s purpose. (The GOTK is too powerful to be extant for long and not overtake the whole world, given how it results in radical communities like the Acts 2 Jerusalem church.) As for grace or “chesed” as it is called in the Hebrew, it is throughout the entire Bible, long before Paul came on the scene and inspired 33,000 warring denominations with his wise but difficult and problematic sayings as Peter astutely observed (2Pt 3:16). Don’t get me wrong, I’m not against Paul anymore than I am “against” Christianity; I merely note that his writings have not proven as helpful as you and many think much the same as we could say about Christianity with its counterfeit gospel and shameful, embarrassing legacy. I would not expect Paul to specifically say or repeat the gospel in any of his letters. They were written to groups who already knew the gospel from him or others. The letters of Paul were more discipleship to specific groups with specific issues and questions. Very similar to your articles not dealing with the gospel. I don’t see anywhere where it was Jesus’ purpose to hide the gospel. He merely said the gospel would disappear and many false teachers would come. This most likely began after the apostles and the ones they discipled died. It became more lost once Constantine legalized Christianity and it was hijaked by Pagan scholars. Once Christianity became the state religion it was completely gone and became a religion. You can actually track it through all the writings still in existence. If Jesus meant for it to be hidden and Paul was his instrument then you wouldn’t know it either. It’s in the Bible – one just has to read it. I have believed in two things for salvation – love God and others. I have believed that is the way for many years now even before your site (since I only discovered you a few months ago). I just believe the Gospel of the Kingdom or what the prophet Elijah will preach is that the kingdom is at hand once again. It is imminent meaning Christ is returning. I believe this prophet will probably be highly critical of the present state of the churches as well which will make him very unpopular. I don’t disagree with what you have ultimately come to believe. I disagree with how “this gospel of the kingdom” will be presented before the end. Once again, thank you for all your work and study. From your chart you show: Way to Salvation? That appears that you are saving that simply by “keeping the commandments” you have salvation. This statement then negates Jesus coming, his death and resurrection. David, ahh, I’m not the one saying it! That’s a direct quote from Jesus in Mt 19:17-19 when he was asked by the Rich Young Ruler what the requirement for eternal life is. But no Christian likes his answer as it contradicts their received, traditional “theology.” Read my full study Depart From Me to understand how faith and salvation work with the commandment-keeping Jesus flatly demanded all over the place (Mt 7:21-23). Hi Tim, This article has truly blessed me. When I first became a Christian I wanted to share with everyone that the good news was Jesus died for your sins and wow we all get a free pass into heaven. Then as years went by, I wasn’t convinced that I knew the truth….I didn’t see change in people that claimed to be Christian, I didn’t see happiness , and most of all love! I don’t know why this happened to me but every church I went to I would became fast friends with the preacher and his wife . Every church and it was many…..It got so I would say to myself I’m not getting close to the clergy at this church…..because what would happen is I would discover a terrible thing about them and then there would be exposure and then the church would fall apart. I’m not saying I was the one exposing them, I’m saying that it made me realized that church was not for me and it was so discouraging! People are all human and sinful and the leaders of the churches I went to seemed to be the worst offenders. I also realized that once saved always saved could not be true…..and deep inside me I knew there would not be a pretrib rapture as it never made sense to me for God to leave all the bad people on earth to suffer trials and tribulations and then throw them into hell. He could just throw them there to begin with and save himself a lot of time and trouble….seriously it just never made sense….Then one night while searching the internet I was blessed to have found your book, and since have read most of your articles and even listen and watch Katrina on YouTube! All of which are inspirational! After reading this article I am wondering about my brother who is a Jehovah’s Witness. I feel in my heart that something is wrong with his beliefs but I don’t know what to say to him to help him or does He need help? He has told me that he personally knows one of the 12,000 that is talked about in Revelation. I asked him how this person knew this and never got direct answer from him. Do you think there are people walking the earth today who are actually part of the 12,000 . He is under a strong I don’t know how to say it, maybe force, IDK, but it’s like he is held captive to the church. Is there anything I can show him in the bible that would help me to help him again, if he needs help. Ha he studies the bible far far more than I Do! I need to work on this and because of your article I feel driven to try and do better with my study life. Cindy, thank you for your comment and faithful monthly support. Yes, the 144,000 are alive today I think and some of them may have had dreams revealing this to them to encourage them. Typically someone who is in a cult can’t be shown something in the Bible or reasoned with or they would not be in the cult to begin with. They are learning what they obviously need to learn or they would not be in the cult. The best thing you can do is to accept and love him as you would want people to accept you who think you’re wrong, because after all, we’re all wrong on things that others would think are unforgiveable. Shining a light is much more attractive than being a clanging cymbal as Paul said (1Co 13:1). Thanks Tim for sharing. I am a frequent consumer of the contents you put out on this blog. This particular post about the Kingdom of God caught my attention. It’s an area I believe God is calling me into. God opened my eyes about the Gospel of the Kingdom as far back as 2004 when I was in my final year in the university. Ever since I have been studying, researching and telling everyone that cares to listen, the good news of the Kingdom. Tim but I’m just wondering….why would God want to deny the world or believers this social-program-like blessings of the GOTK for this long number of years. Was it meant for certain believers at a certain time in history? Was Jesus’ message of GOTK a function of time or era? Please could you shed more light on this. Amakiri, he does not want to influence human behavior that much which is why he mostly hides. See my article on Satan in Prophecy to understand his plan. I’ve had this article on my list to read and I finally accomplished it—I’m so glad I did. For 10 years, I’ve been a writer for fiction (seeking publication in a world where publication is extremely difficult) and just recently, with thanks to Tim for help, I’ve switched to “Christian” nonfiction and completed my first “devotional” or as I like to call it—just a book about God. Until now, I hadn’t read the Bible straight through or studied it the way I have been in the past year (although I’m a pastor’s daughter, ha) but now I have a deeper relationship with the Lord, and this article gives me such confirmation that I’m writing the right things when I was questioning it all after fasting and prayer. It’s truly good news and once your eyes are opened to the truth, you can’t accept anything but true change through the Holy Spirit if you’re a true believer. Thanks Tim, I’ve read many articles but I’m currently working on my attitude and words and in the middle of your wife’s podcast regarding complaining. It’s a true quest to achieve victory over our mouths and attitudes, isn’t it? Keep up the good work! !